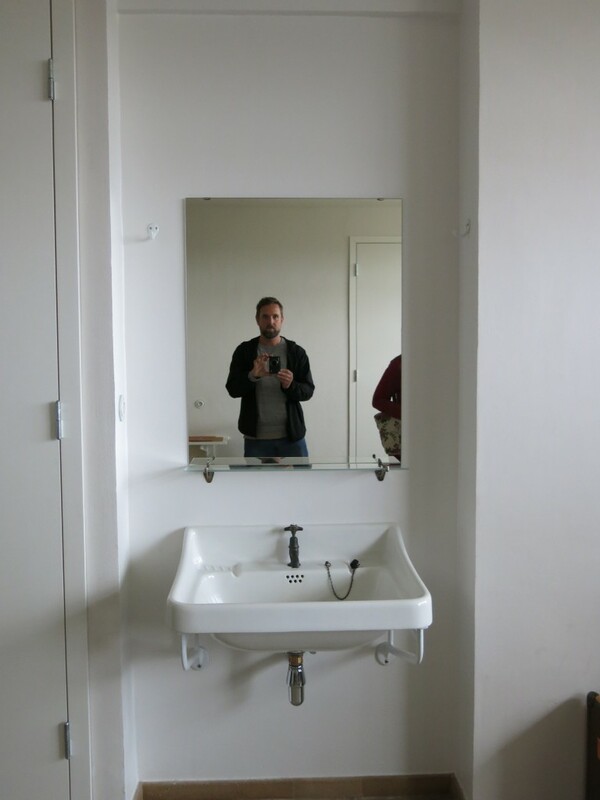 I recently fulfilled one of my lifelong dreams and visited the holy shrine of design and architecture: The Bauhaus in Dessau. 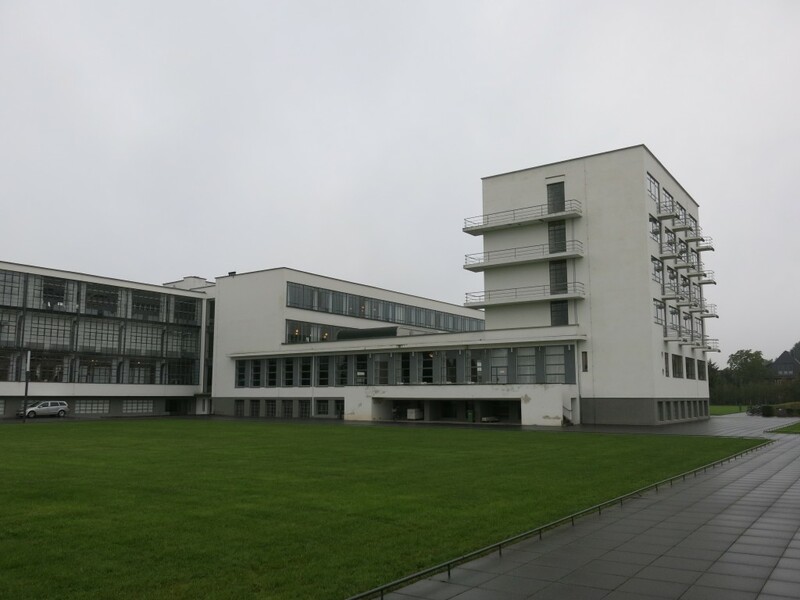 When in 1925 the Bauhaus moved from Weimar to Dessau, Walter Gropius, the then director of the Bauhaus, designed the building and it's still there today, looking as wonderful as always. In fact it must have been quite the sight back in 1926 when it first opened. 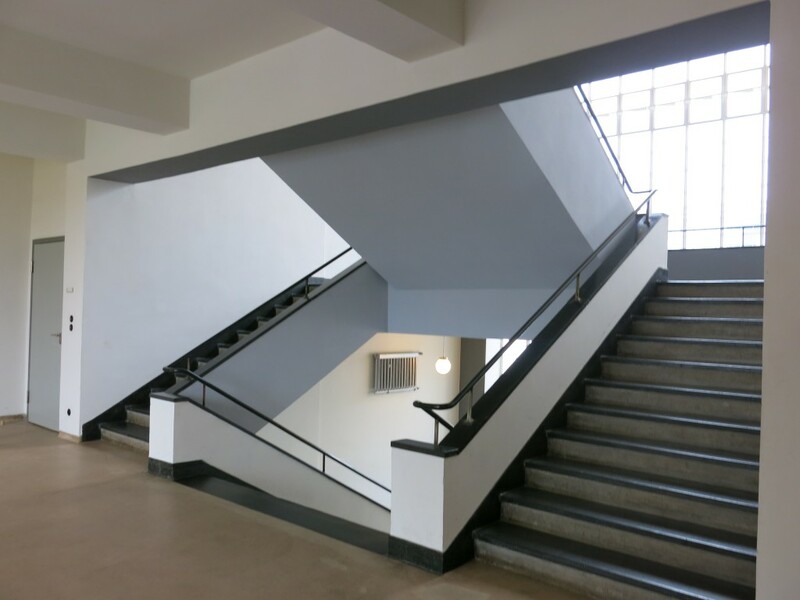 The main entrance hall with doors leading into the auditorium. 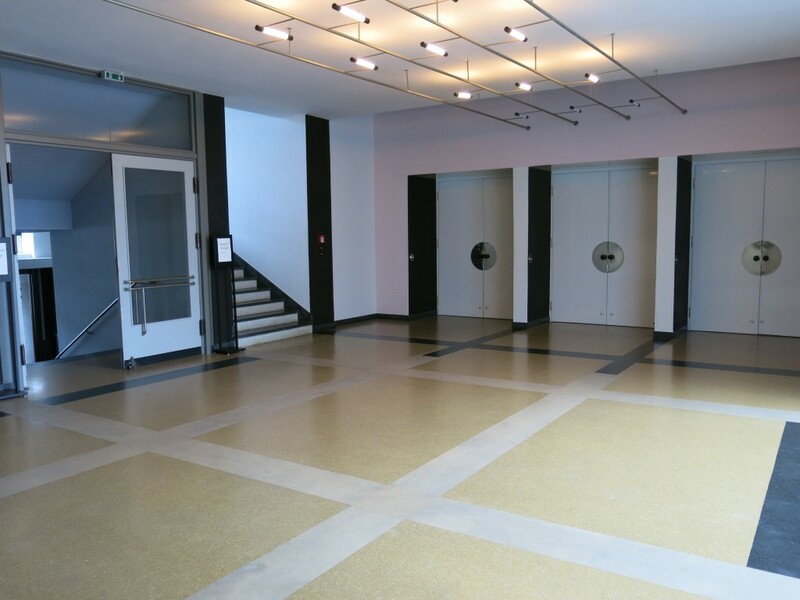 The floor is designed by László Moholy-Nagy. 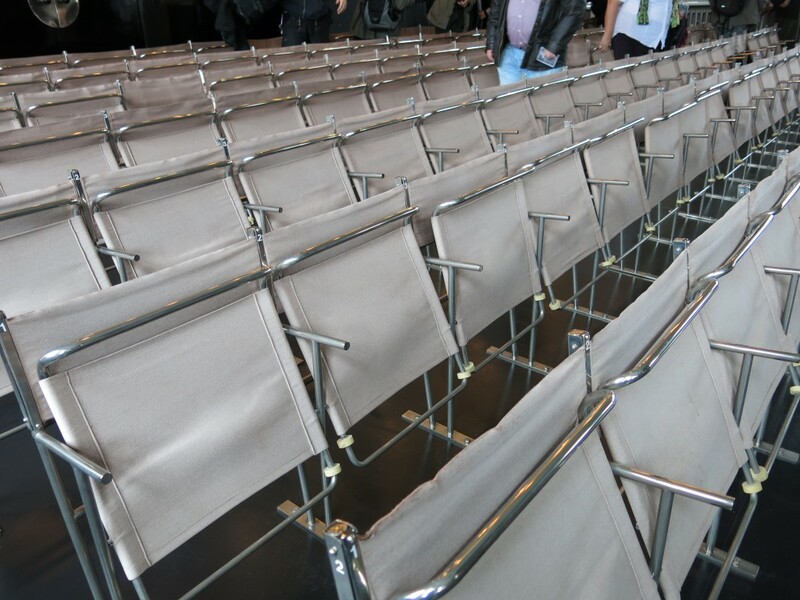 Marcel Breuer's seating in the Bauhaus auditorium. 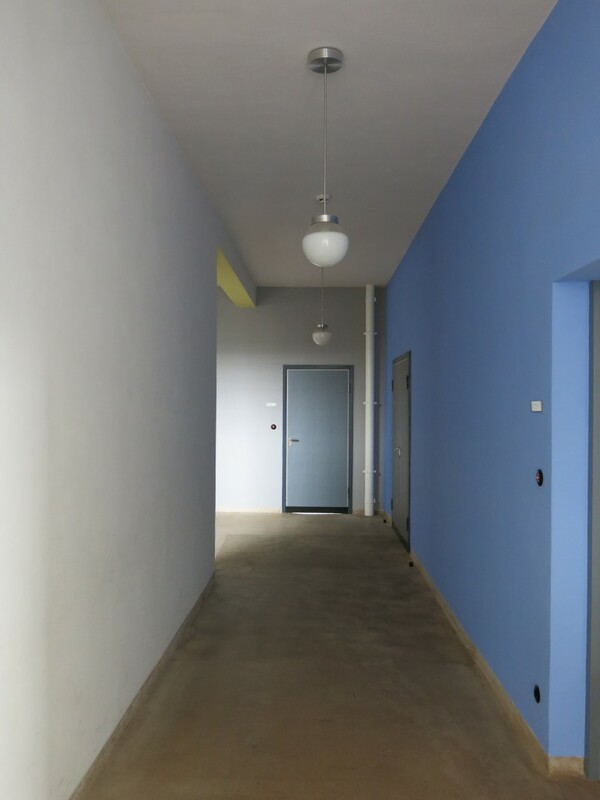 This room was apparently the dormitory of Marianne Brandt who studied in the metal workshop of the Bauhaus. The blanket is by Gunta Stölzl. That's me....in Marianne's mirror!! 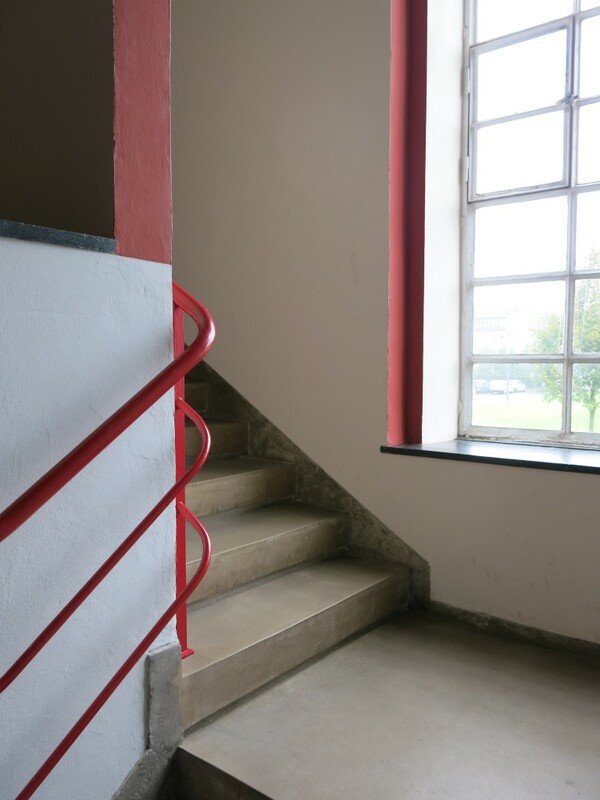 Nice colour detail of the handrail. 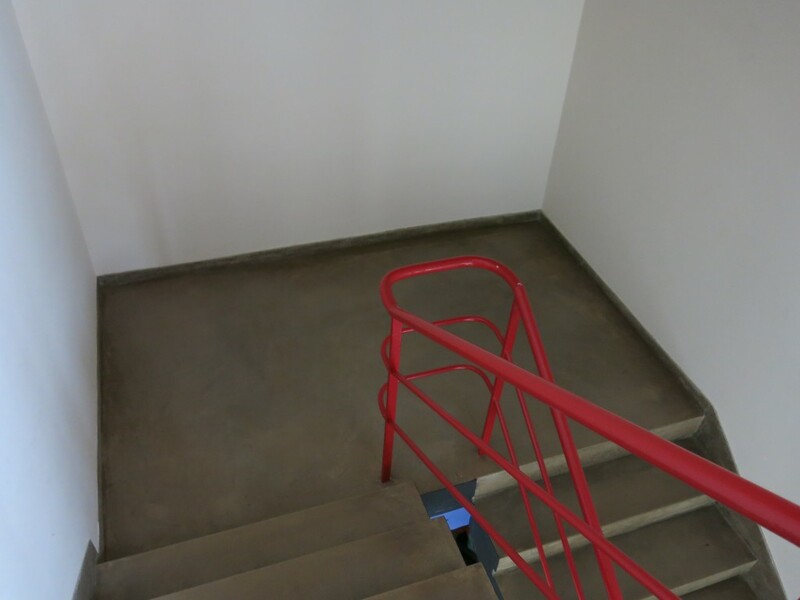 More red hand rail. In fact there was a lot more colour than I anticipated. 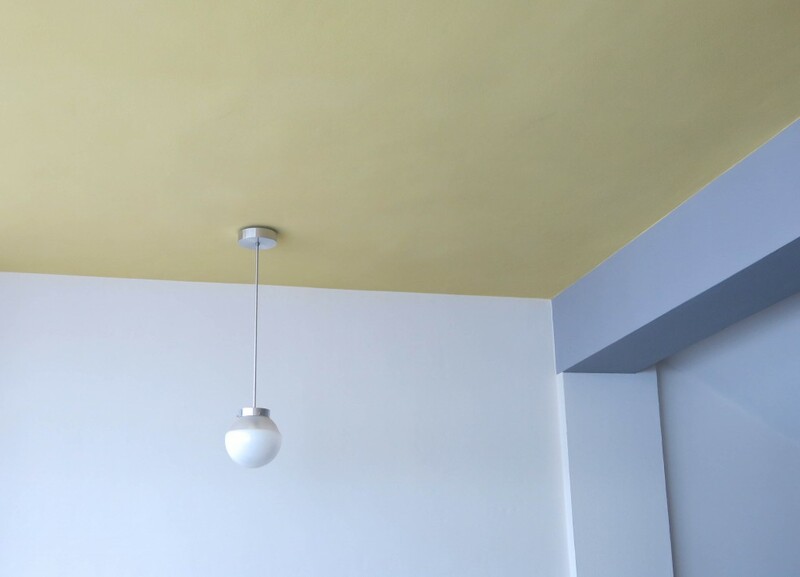 Not just various shades of grey. All very nice colours. 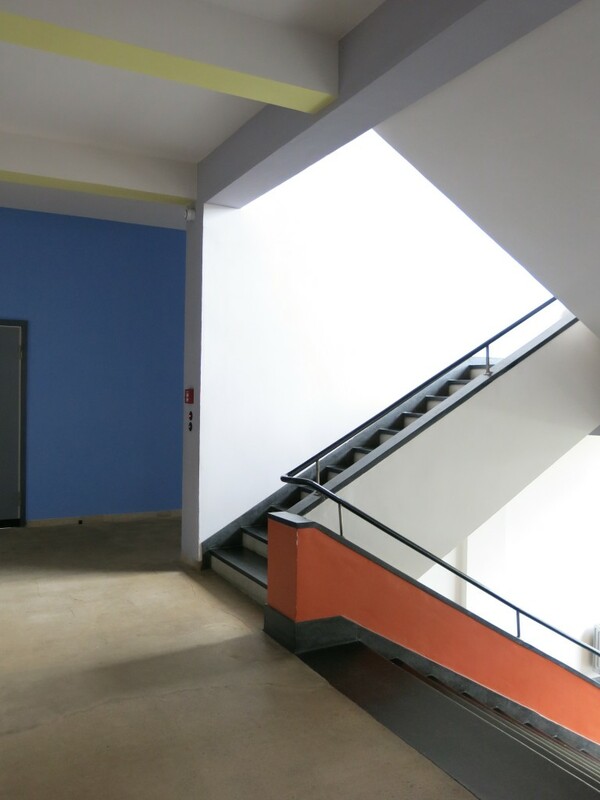 Apparently there are more than 100 different colours used in the building. 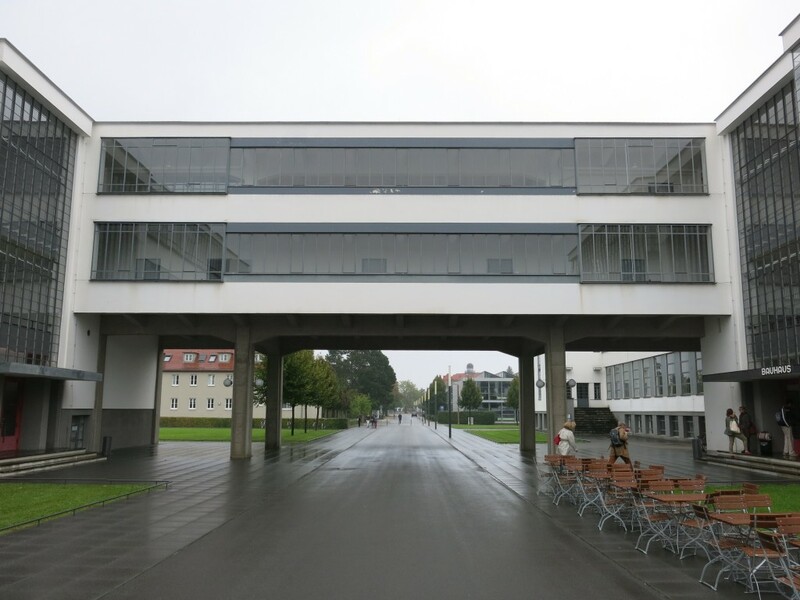 The bridge where Walter Gropius had his office so he could see who was being late for school in the mornings. 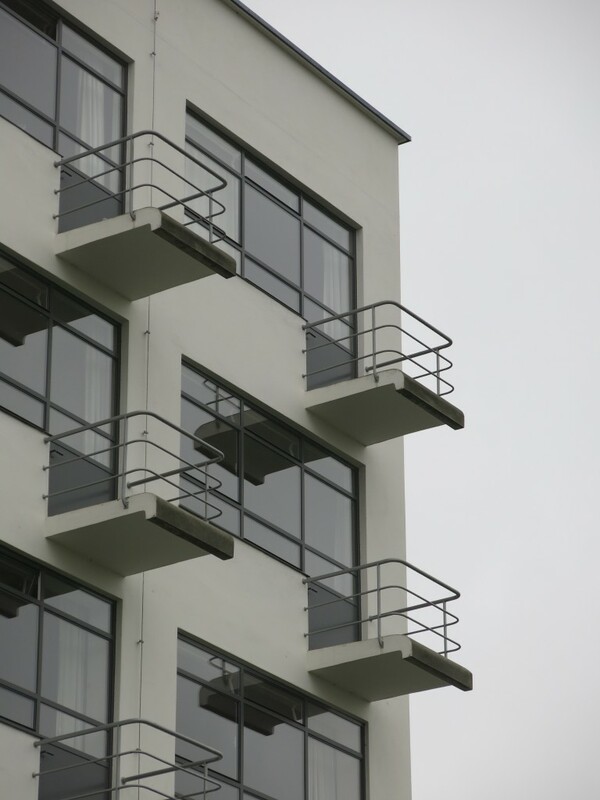 The balconies of the dormitory block. 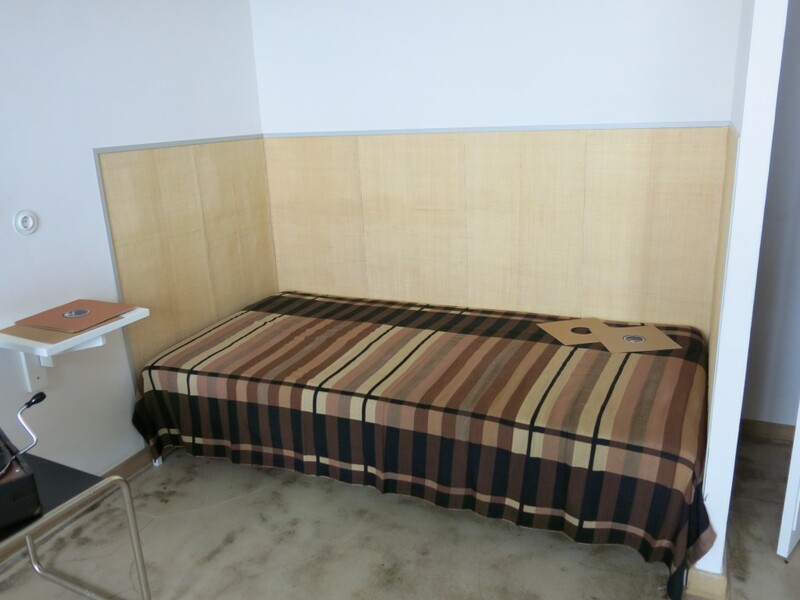 In fact you can sleep in the Bauhaus from only 35 Euros a night. I didn't. Not bad for a dormitory I'd say. And this is the view from the back. 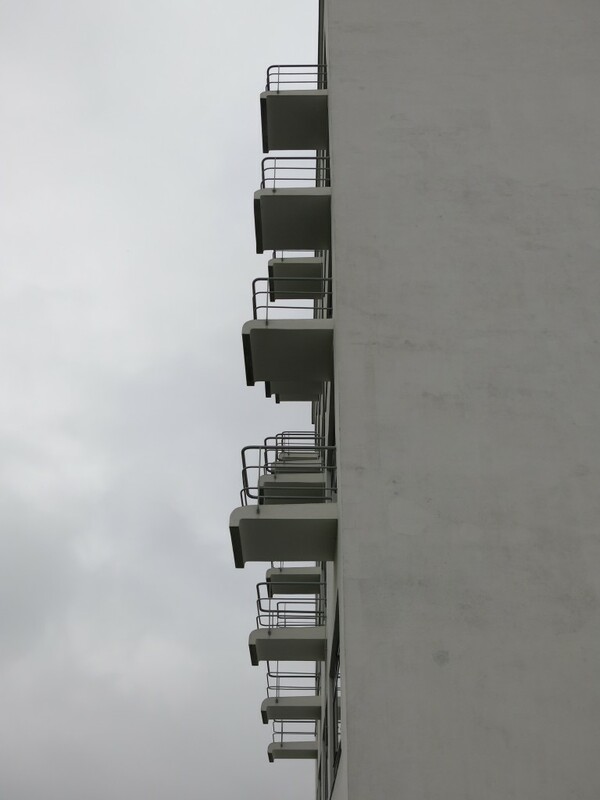 I visited Dessau while staying in Leipzig from where it only took about 30 minutes by train. From Berlin it's about an hour and half by train.